For those of us in the trade, Kravet is one of the world’s most prestigious names in fabric, furniture, wall covering, carpet and home accessories. 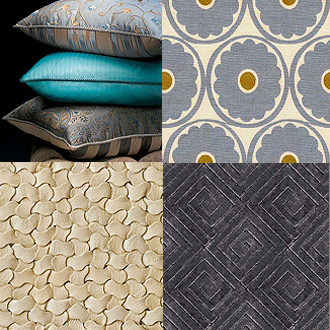 Its brands cover the gamut of traditional to contemporary and include the original Kravet, the elegant Lee Jofa and the ever so chic Brunschwig & Fils lines. It’s a company rich in tradition that has never rested on its laurels. 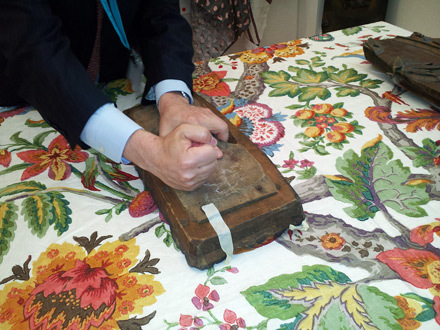 The story goes that Samuel Kravet was a tailor who emigrated to NYC from Russia at the turn of the 20th century. Six years after WWI he formed the company with his four sons. 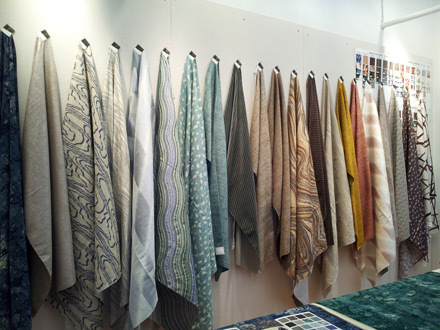 An innovative company for its time, S. Kravet & Sons only sold to the emerging interior design trade so as the trade grew from its infancy, so did the company. Today the company is managed by the 4th generation of Kravets, a true testament to family strength, value, commitment and FOCUS in providing some of the best home furnishings around. But innovation wasn’t left at the door in 1924. 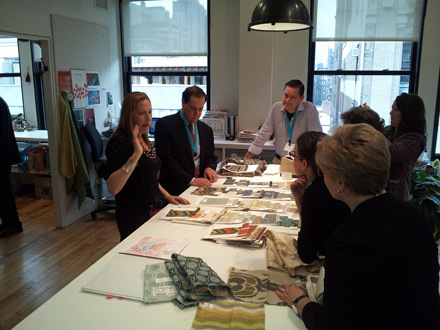 Today amongst many technical innovations, Kravet is one of the few companies that really embrace social media to its great benefit (for example, they are the brains behind BlogFest, a conference on design for bloggers from all over the world) and through them I had the opportunity to visit their studio in NYC last week. 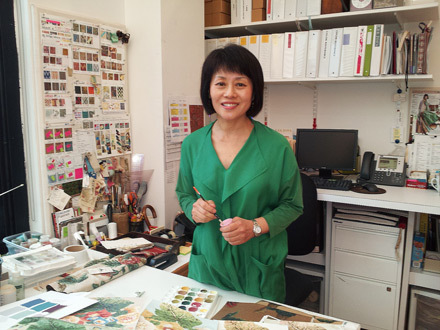 I’ve used Kravet family fabrics in my projects since I began the design component of my business in 2009, so I was familiar with their amazing textiles. But what I didn’t know was how it all comes together. The studio tour that covered all business lines was eye opening. They delved into licensing agreements with megastars Ralph Lauren and Candice Olson. They showed us everything from how they work with Disney, how hand blocking is done on fabrics, to how hand colored swatches are made for special clients and then showed us a vast array of new and exciting products. It was simply marvelous! 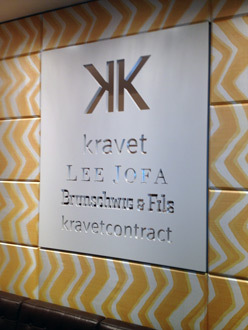 But aside from what I’ve just noted, it became crystal clear to me that Kravet has figured out that their success not only hinges in their hands-on management, but in having exceptional employees who share their vision and building great relationships with the trade that trigger their creativity for developing some really awesome products. A special THANK YOU to Cary, Lisa and Ellen Kravet, Stephen Elrod and Jennifer Powel for making my experience truly formidable. To Cheri Leavy of the blog The Southern Coterieand Joe Quartarone of Bay Colony WineCellars for unselfishly sharing their photos with me. image credits: Kravet (1); Cheri Leavy (2,5); Joe Quartarone (3,4,6,7).